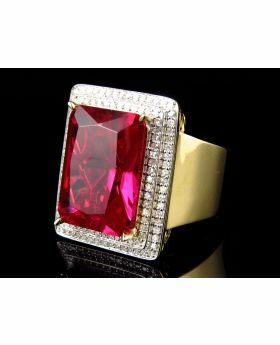 This ring comes in a beautiful presentation box with in-house appraisal. 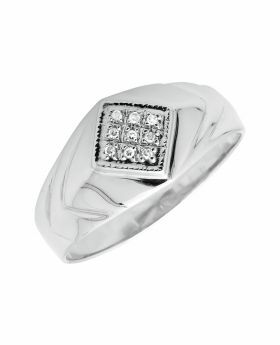 Modern and sophisticated look for a fashion forward man, this ring is a handsome look he's sure to love. 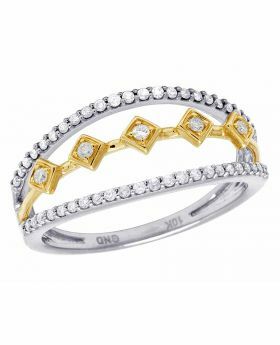 Fashioned in 14k white gold, this ring features a cluster of round diamonds at its heart in-layed in yellow gold polish in the center. 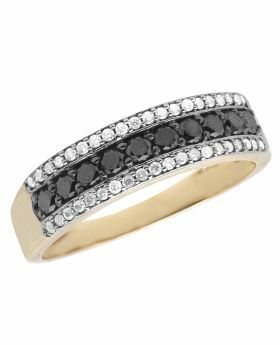 Ridged detailing on ring's shank offers a unique textural contrast. 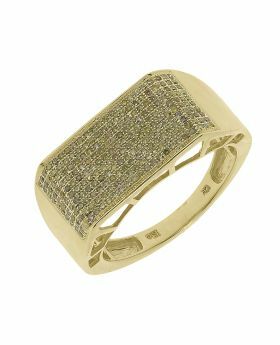 The grooved detailing gives the ring depth and dimension. 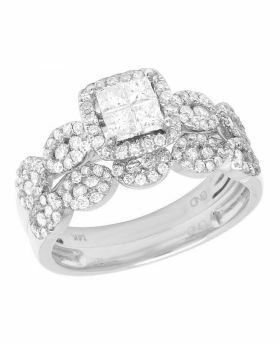 A cluster of round diamonds glistens in a shared-prong setting in the sqaure frame. 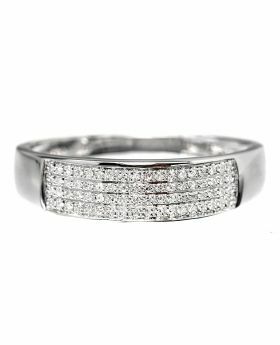 The 10.5MM wide band ring captivates SI1-SI3 clarity, G-H color, 0.50ct. diamonds. 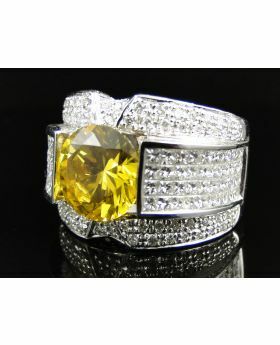 The ring is caged back for his comfort and it weighs approx 11.2 grams. 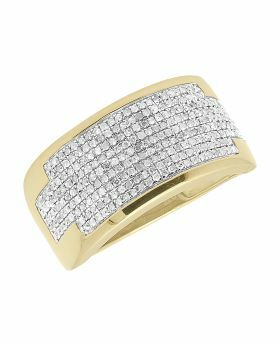 Buffed to a bright luster, this wedding band is a bold look he will proudly wear daily. 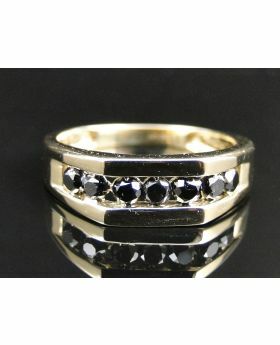 This ring is also available in yellow gold and rose gold. Available in size 10. Can be sized upon request for an additional charge.